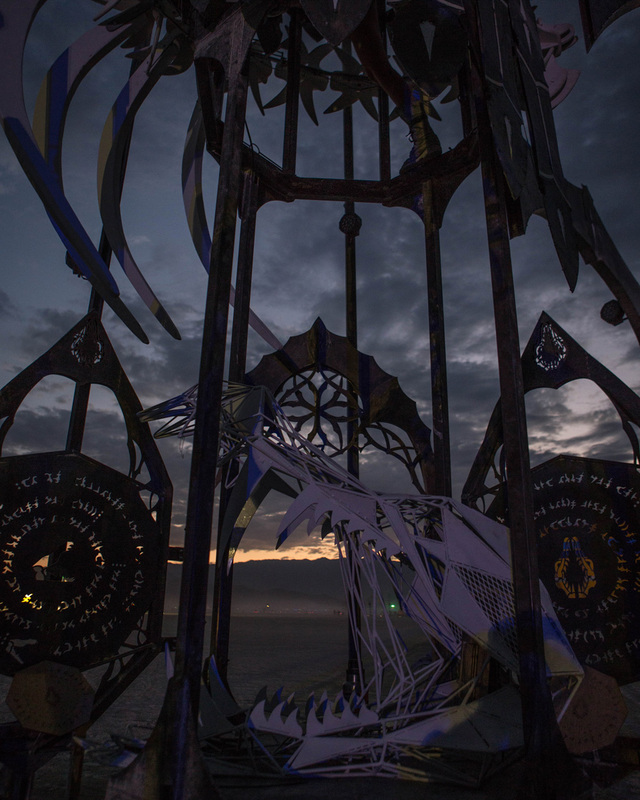 Photos taken at the Tomb of Nahtaivel in Black Rock City in 2017. The experience of the Tomb of Nahtaivel is inspired by the ancient myth of the Leviathan. According to various passages of Hebrew, Christian, and other religious texts, Leviathan is an emblematic representation of an enormous sea monster, which is also representative of a politically totalitarian state with a vast bureaucracy. 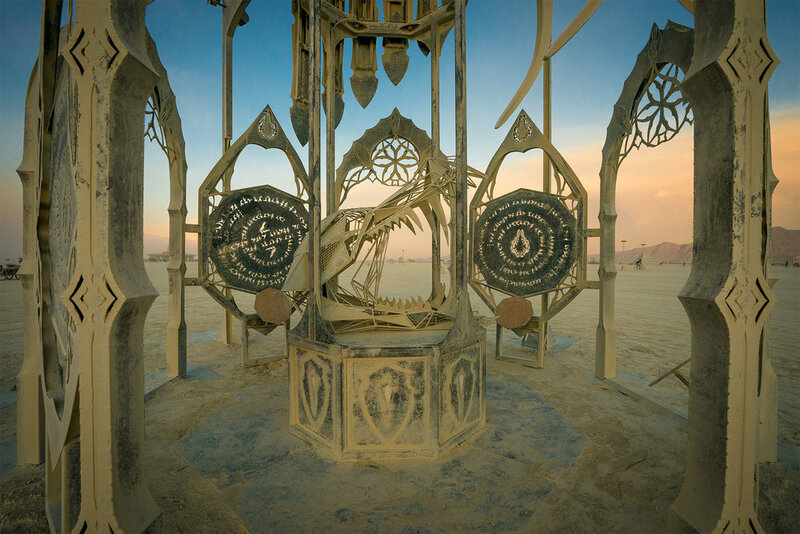 This sculpture is meant to tell the story of a people banding together to finally slay Nahtaivel the murderous creature that lurked beneath the sand. 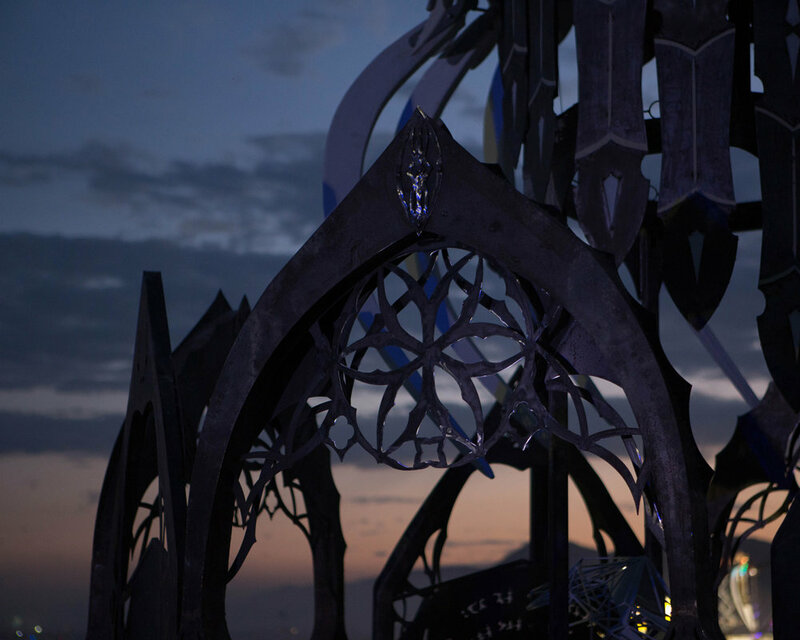 A tale of perseverance is told and an ornate structure created. Its design and significance as a tomb to Nahtaivel is as a refuge to the members of the society facing the battle with the beast. It is a warning sign to any future oppressor. 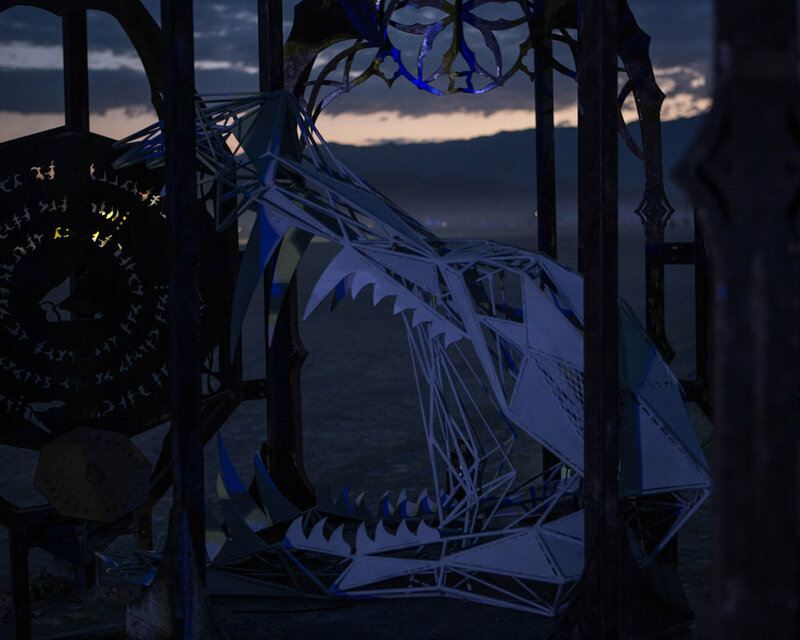 The skeleton of the sculpture is wrapped around and woven through the structure to serve as a symbol to the control the beast once had on the society which created it. Within the structure, the voices of the members of society can be heard and when visitors enter the tomb, a cryptic code will lead them through the details of the destruction of the oppressive Nahtaivel. This structure pays homage to the ever present Nahtaivel in all aspects of its existence. It calls upon the viewer to be conscious of the struggles in their own realm, while recognizing the power of solidarity and the corresponding depravity that exists in its absence. We would like to invite you to be a part of the Tomb of Nahtaivel.